(22) Rather Warm Berkshire – RC, for this month at least, was wrapped when the video grabs for A Whole Lotta Shakin’… was sent over, ready for publication. 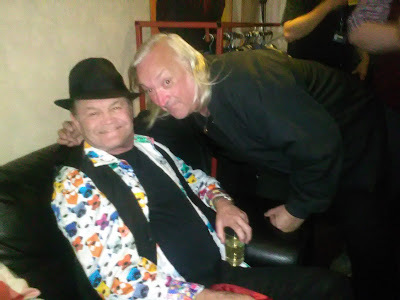 - Conversation this morning with Alan G about the new movie project went very well indeed and it sure looks like a go-er. Fingers crossed filming should start in Late July. - Amazon Canada – It’s as you were with the paperback version of Marilyn at #1 in the “Most Wished for in Monroe, Marilyn” and at #2 in the “Most Gifted” sections devoted to the great actress on the site. - Further meetings regarding the next movie project took place in London. Director, Alan G was naturally present. 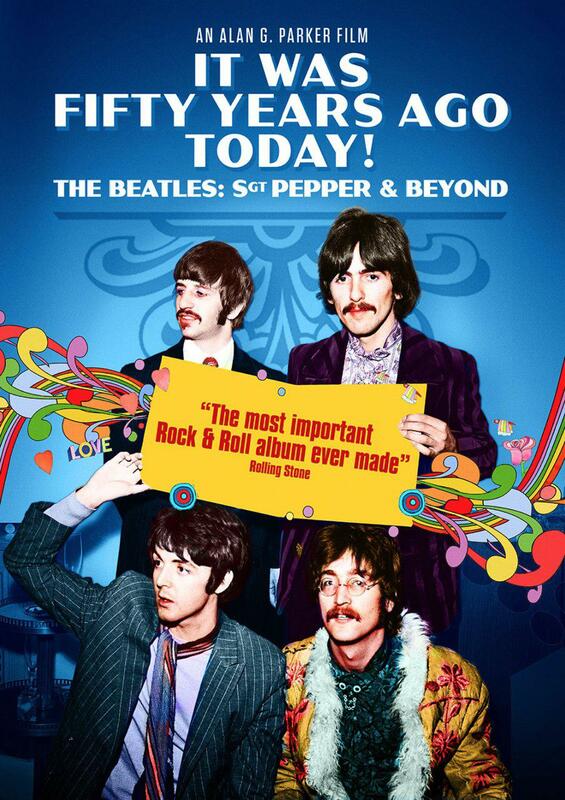 (17) Italy – The Pepper doc, It Was Fifty Years Ago Today; The Beatles Sgt Pepper & Beyond opened in cinemas across Italy. Box office takings during that opening weekend were… most impressive indeed! (16) Rather Sunny Berkshire – Work on the Kenny Everett/ Nice Time (1968) edition of Rockin’ The Box for Record Collector magazine finally got underway. - Talking of the mag, the latest edition, featuring a report on Brian Epstein’s last-ever TV appearance, taped just a month before his death, dropped through letter-boxes across the country. - While over on (good ol’) Amazon Canada, the paperback edition of Keith’s Marilyn was spotted at #1 in the “Most Wished for in Monroe, Marilyn” section of the site. It was also at #2 in the “Most Gifted” section devoted to the great actress on the site. - It was announced the new movie, It Was Fifty Years Ago Today; The Beatles Sgt Pepper & Beyond was (incredibly) placed at No.12 in the UK’s top movie chart listings. (15) Overcast Berkshire – Further CCR Pledge discussion with Paul S. A decision of it will be made early next week. - A long overdue, text update of this site was finished today. (14) USA / UK – The CCR Pledge book campaign was not progressing as well as expected so Keith had a long, hard discussion about it with the designer on the project, Paul S. A talk about it was also had today with Mike Randolph. (9) Los Angeles, California – Adam West passed away following a brief battle with leukaemia. He was 88. Six days later, on June 15, 2017, Los Angeles shined the Bat-Signal on City Hall as a tribute to him. “He will be, and will always be the finest Batman ever. EVER! I truly adored him and the series. He will be sorely missed,” Keith said after hearing the sad news. (9 - 14) Canada – My goodness! Still there… number one in the “Most Gifted in Monroe, Marilyn” section on Amazon Canada. (5) Canada – Still there… the softback version of Marilyn was still in the #1 in the “Most Gifted in Monroe, Marilyn” section on Amazon Canada. - UK – It’s out. Despite being shipped out 10 days earlier, the Blu-ray /DVD versions of It Was Fifty Years Ago Today were officially released today… on Amazon and all major retailers, and already it had climbed to #1 in the “DVD & Blu-ray > Music Video & Concert,” listing, #3 in the “DVD & Blu-ray > Documentary” chart and #7 in the “DVD & Blu-ray > TV” run-down… “Yes!” As you would have guessed, it was the #1 “Best Seller in Music Video & Concert” on Amazon UK. -Berkshire - More (most interesting) developments with the (get ready) Marilyn and Queen Projects. (4) Goodreads – Yet another five-star rating of Marilyn… Many thanks to “dale connors” for supplying it. (2) Overcast Berkshire – Latest Rockin’, featuring Brian Epstein’s very last television appearance, was typed and sent to Record Collector magazine. - Marilyn (softback) was suddenly spotted at #1 in the “Most Gifted in Monroe, Marilyn” section on Amazon Canada. -Many thanks to “Pamela Kincheloe” for her five-star rating review of Marilyn on Goodreads.